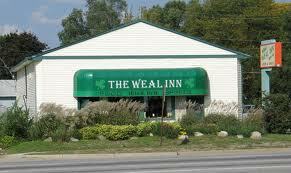 Weal Inn is a hole in the wall bar in Highland that is all about cheap beer and great karaoke as far as we’re concerned! People really love the burgers here and come from miles around just to get one. This is also a great place to catch the game on TV, whether you’re a Tigers fan or a Pistons fan, or maybe a Red Wings fan or even a Lions fan! Sometimes they’ve got live entertainment which is a very nice bonus. You will find this great little dive bar on East Highland Road between Lasalle Boulevard and Duck Lake Road North.